A place to check what events are on in Hong Kong. Searchable by date, and categories. It is hosted by the China Electronic Chamber of Commerce at the Beijing China International Science and Technology Exhibition Center. Site contains info about its characteristics, sponsoring scheme, floor plan, and more. Organized by the China National Packaging Corporation and the Printing Technology Association of China, featuring packaging and printing equipment / technology. Site contains show report, market data, and exhibit list, and a floor plan. It is organized by the China Foreign Trade Center (Group) and Guangdong Physical Sports Bureau at the Chinese Export Commodities Fairground. Site contains information for exhibitors and visitors. Sani-CeramEx is a sub-exhibition belong to CBD, the largest trade fair for building decoration in Asia. Site contains fair details, seminars and activities, information of space rental, application form and so on. A platform of communication, cooperation, negotiation and trade for domestic professionals and overseas buyers in the lighting industry. Site contains its event schedule, floor plan and a listing of exhibitors. Site contains its news, services info, floor plan, range of exhibits and a listing of exhibitors. An event organized by the Humen Town Association of Garment & Dress-Adornment at the Humen Huanghe Fashion City of Dongguan. Site contains an introduction to its participation fees and schedule. 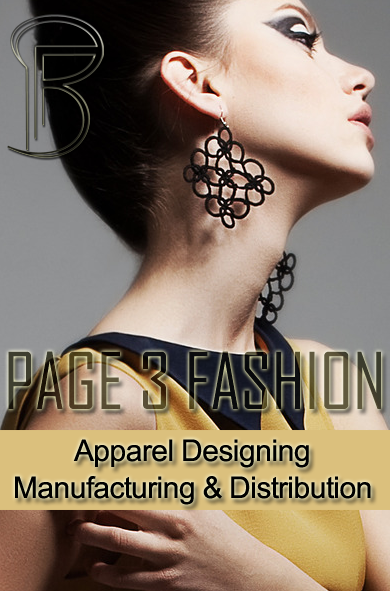 Provides a trade opportunity for retailers to procure merchandise directly from manufacturers. Site contains industry news, and a listing of purchasers and suppliers. A professional machinery and moulds exhibition in China. Site contains exhibition news, program schedule and application info. Held in China Yiwu Commodities Convention & Exhibition Center. Site contains its fair details. Also offers online registration service. An annual event featuring 3G business and technology opportunities within China. Site offers an exhibitor's guide, fair reviews, downloadable brochures and a city guide, plus free subscription to receive e-news. An international high-tech and trade expo held annually in Beijing. Site contains its news, events schedule and exhibition info. A biennial event for manufacturers, suppliers and operators of the brewing and beverage industries. Site contains fair info, a list of exhibits, cost of exhibiting and show updates. A show organized by Jingu Expo at the China Commodities City Exhibition Center, featuring arts, crafts, gits premiums, promotional materials, household supplies, decoration articles, home textiles etc. Site contains show details, visitor and exhibitor information, plus press releases. Held annually in Dongguan featuring footwear and leather goods and accessories. Site covers program details, news and press releases, guides for exhibitors and visitors, an exhibitor directory, application forms and fair reviews. Presents China's outstanding enterprises and well-known products to the world. The Product Showroom holds online product exhibitions. Site contains a database of large/top enterprises, searchable by keyword or sector. A calendar of exhibitions held in China and countries around the globe. Searchable by month. Information about exhibitions to be held in China and Hong Kong in the year 2002. This database is searchable by industry, province, date, and keywords. A high-level forum hosted in China and dedicated to promote the global communication and cooperation of the convention and exhibition industry. Site contains brief information on the event, organizers, supporting institutions, cooperating partners and sponsors. The largest fairground in China holding 80 to 100 exhibitions annually. Site contains exhibition schedule, an exhibitors' guide, and an organizers' guide. Also includes the accommodtion and shopping guide of Guangzhou. An international seafood show held in Qingdao. Site contains an exhibitors' directory and info on its booth prices. Organized by the China National Packaging Corporation and Sino Link Exhibition Co., Ltd, featuring bread, biscuits, cake, pastry, ice-cream equipment, etc. Site contains market data, show report, industry overview, and a floor plan. It is responsible for establishing mid-term or long-term developing strategy for the Canton Fair. Site contains its profile and exhibition calendar. A trade center situated in Guangzhou free trade zone showcasing imported goods. Site contains a listing of upcoming events in China. An annual event in Guangzhou featuring professional purchasing and trade bidding on electrical appliances and its components. Site contains expo highlights, media releases, guides for exhibitors and visitors, an exhibitors' directory, plus online registration forms. Exhibits include foodstuff, textile and garment, metals, pharmaceuticals, machinery and electrical products. Site contains a listing of Guizhou export enterprises, products and purchasing info. A regional fair held in June every year. Site contains its fair and registration info. Also provides an overview on Heilongjiang's investment environment, procedures, policies and regulations. An annual event jointly hosted by the Ministry of Foreign Trade and Economic Cooperation, Ministry of Science and Technology, Ministry of Information Industry, etc. Site contains info on about its exhibition area and scope. Site contains its facilities, available services, rental fees, an event calendar and newsletters. It is located in the downtown area of Shenzhen with an exhibition area of 36,000 M2. Site contains info on its facilities, services, events calendar, and newsletter. Organized bienually by the CCPIT Sub-Council of Chemical Industry and China National Adhesives Industry Association at the Shanghai Exhibition Center. Site includes participation procedures, list of exhibitors, fair review and online application form. An annual event organized by the Beijing Huibang Shida Exhibition & Display Co., Ltd. Site contains an exhibits list, exhibitors and visitors information. Organized by the CCPIT Sub-Council of Chemical Industry at the Shanghai Exhibition Center. Site contains seminar schedule, space application form, and exhibition plan. Jointly held with China International Export Antique Furniture Fair in Shanghai. Site includes fair info, a list of exhibitors and exhibits, participation fees, registration forms and press releases. An international beauty, cosmetics and hair care exhibition held in Beijing. Site contains its news, floor plan, and a listing of exhibitors. An annual international trade show of the composites industry. Site contains its floor plan, procedures and costs of participation. A trade event held in Qingdao of Shandong Province featuring the global consumer electronics industry. Site offers news, program highlights, an exhibitors directory, guidelines for exhibitors plus an online registration form. A trade event held in Qingdao of Shandong Province featuring the global consumer electronics industry. Site offers news, program highlights, an exhibitors' directory, guidelines for exhibitors plus an online registration form. An international exhibition held in China. Exhibits includes foodstuff, home appliances, light industrial products, household textiles and garments. Site contains its profile, services, hall plan, registration form and fee. An international expo which displays the latest manufacturing products and technologies. Site contains its activities, floor plan and registration info. 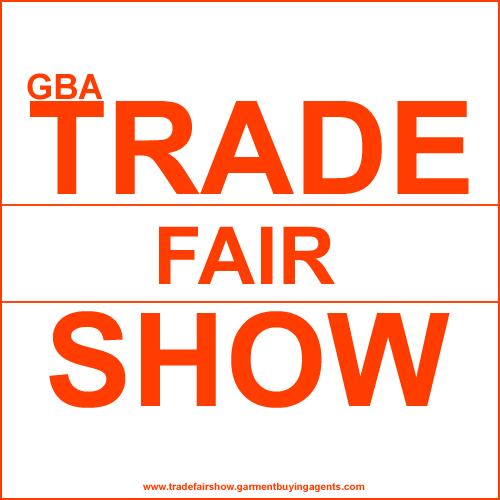 Responsible for marketing, promotion and operation of both domestic and international exhibitions and trade fairs. Site contains its profile and exhibition schedule. A professional exhibition of international petroleum and petro-chemical trade. Site contains its exhibition schedule and fair details. Jointly held with China International Antique Decoration and Artworks Fair in Shanghai. Site includes fair info, a list of exhibitors and exhibits, participation fees, registration forms and press releases. A national investment promotion activity in China. Site contains the latest economic and trade development of China, activities schedule, key investment projects, and more. Organized by the China Petroleum Pipeline Bureau. Site contains its exhibition services, floor plan and fees.